Amy is without a doubt the best photographer we could have possibly chosen. We also have no doubt that you will love her just as much as we did, so if you're still looking for a photographer look no further! From the very beginning, she was extraordinarily thoughtful, pragmatic, sensible, and wise with all of her planning advice and consultative offerings. She wasn't just another wedding vendor interested in solely getting her job done, but instead, she was truly a friend to the both of us, showcasing a genuine desire to make our wedding day (and the days leading up to it) as magical, beautiful, and stress-free as it could possibly be. On the day of the wedding, Amy and her team (her husband David is amazing) got to work. It speaks volumes about her experience, professionalism, and talent when she can command a [very stressed] room of 30+ immediate family members and maintain order amidst chaos. It was POURING most of our special day (many told us it meant good luck, but we were simply lucky to have Amy with us). The way Amy and her team handled the situation made the both of us calm, reassured, and delighted. Their vision for picture placement in such a stressful time was nothing short of amazing. All of this is moot if the pictures don't turn out great. They. were. unbelievable. We have so many beautiful shots, we're quite overwhelmed figuring out what to do with all of them (an amazing problem to have). For one of the most important days of our lives, we wouldn't have trusted anyone other than Amy to capture the day. If you're still considering if you should pick Amy, consider no more! Just do it! You won't be disappointed. The absolute best wedding photographer! I can honestly say that one of the best decisions we made about our wedding was hiring Amy Bennett for our photography. She has a gift and talent for capturing the moment and making everyone feel so relaxed and comfortable. My daughter and son-in-law seriously fell in love with Amy and her photo "caddy" Dave. And that is easy to do. The quality of her work is phenomenal but most importantly, the energy and warmth that she brings along with her kindness are just as outstanding. I can go on and on but the bottom line is that Amy Bennett should be your number draft pick - you want her on your team!!!! Amy recently photographed my August wedding at the Grand Isle Lakehouse in Vermont, and I could not have been happier with the experience of working with Amy at every stage. Prior to the wedding, she made an effort to reach out several times and get to know me/establish a level of comfort so that we were already acquainted and on friendly terms by the time the big day rolled around. On the wedding day itself, Amy showed up exactly on time and her passion and dedication to her work was immediately apparent. She was assertive, creative, positive, and proactive. She was in many ways more than a photographer: she also helped oversee the day's timeline and ensure things were running smoothly. I was so impressed by Amy's artistry, hey eye, her professionalism, her warmth, and her overall approach--I could not recommend her more highly!! Amy is incredible. I found her on Instagram and was captivated by her photos. She has a great eye for special moments in candids in addition to framing perfect family photos -- whether there are two or twenty people in the shot. If Amy is free for your wedding, don't hesitate to book her. You won't regret it. She is the real deal, and I feel so lucky and privileged that she was able to photograph our wedding. Amy is incredible! We absolutely loved having her as our photographer for our engagement and wedding photos. Her photo quality is not only stunning but she is so easy to work with and makes you feel at ease in front of the camera. Her professionalism and responsiveness is top notch. She also helped us keep the timeline/ flow of events going smoothly the day of! Don't think twice when looking for a photographer who will exceed all of your expectations and make the process and day feel seamless, Amy is the best! My fiancé and I wanted to plan a winter engagement shoot in Vermont. While browsing photographers in the area, I came across Amy's website and fell in love with her photography style. We instantly connected the first time we spoke over the phone. Her positive and upbeat personality made working with her extremely easy. She made my fiancé and I feel so comfortable during our engagement shoot. Despite the frigid temperatures atop a ski mountain, Amy remained her positive self and kept us laughing and enjoying every moment. She has a talented eye and is able to envision beautiful shots on the spot. Not to mention, she turned around our engagement shoot photos less than 24 hours later! From her experience on a beach to a ski mountain, Amy is fantastic! Do yourself a favor and book her!! Amy is a true professional at her craft! Amy did an absolutely amazing job as the Photographer for my daughter's wedding. Her friendly, personable, and professional characteristics made her a fantastic choice for this once in a lifetime event. On the wedding day she orchestrated the picture taking with the all the various groups of family, wedding party, and guests. The 1000+ photos she took and developed were incredible. I understand the importance of capturing the many aspects of this special day so my high recommendation for Amy is not taken lightly. She is a real professional at her craft! Incredible! Working with Amy was one of our favorite parts of wedding planning—and one of the most memorable parts of our special day and beyond! We had an instant connection with Amy from our very first Skype conversation—she made us feel comfortable and at ease from the beginning. We had so much fun with our engagement shoot and our wedding photos turned out incredible. We’d suggest Amy to anyone—her combination of quality, personality and style is a rare find! We cannot recommend Amy enough! She was incredibly kind, thoughtful, communicative, and professional. From our first correspondence to our engagement photos, from scoping out sites near our venue to the wedding day itself, Amy went above and beyond for us in every way. By the end, we truly felt as if Amy and David were not only our photographers, but also our friends. Truly, we saw them as guests at our wedding. Amy made us feel so comfortable and struck the perfect balance between giving us the gentle coaching we needed and telling us to just do what felt natural. The result was amazing: her photos beautifully captured our love for one another, our connections with our family and friends, and every amazing moment of our special day. We absolutely love our photos and received so many compliments from our guests. Amy, thank you for providing us with these keepsakes, we will treasure them for the rest of our lives. Thank you, Amy! Amy photographed my wedding on July 20th. I had spoken to her continuously from the beginning when I started planning in September the previous year. She continuously reached out to me to find out if anything changed and for updates up until the wedding. She is so personable and made me feel like I knew her for years! She made my groom who is not fond of taking pictures feel comfortable as well and my wedding party and family. My guests and I cannot say enough about amy and the great experience we had with her. She was like a part of the family and I had only met her on the day of the wedding due to me being out of state! Amy was so creative and gave great direction. She is worth every penny and I did my research on many photographers, who work speaks for itself. If you pass her up as your photographer you are crazy! Even though I live out of state I am definitely going to utilize her in the future for life time of engagements that I need her to photograph! She is just the best, I can't say enough about her! Amy is absolutely incredible! We are from out of town but she made us feel comfortable during the session and within minutes we were having a blast. She really captured our personality and the photos turned out better than I could have ever imagined. She was not only professional and personable, but she captured breathtaking moments in the most amazing light and in front of beautiful walls and backgrounds. I would recommend her to anyone and am looking for another excuse to have our photos taken in Vermont again as well! As everyone knows, picking a wedding photographer is one of the most important decision to make when planning a wedding. After reviewing countless wedding photographers' web sites, we found the perfect balance of classy, professional, fun, and natural photos. Amy Bennett Photography embodied all things we found important in capturing our wedding day. Looking back at our photos, we couldn't be happier with the results. We would recommend Amy Bennett Photography for any important day you wish to capture. Amy is so warm and professional and really kept our large wedding party on track! She took so, so many amazing pictures. I would hire her again in a heartbeat! She has a great eye for things and was great to have around on our day. I couldn't be happier with our wedding pictures. She captured the day perfectly! Amazing Pictures and Person! Amy was an absolute pleasure to work with! She's professional, kind and has a special way of putting you at ease and making you feel comfortable. We trusted Amy on every level and her work far exceeded our expectations. We look forward to working with her again in the future. Best in the business! Amy is an incredible photographer who is so, so talented. Beyond her talent as a photographer is what a lovely person she is. She made my fiance and I feel so comfortable during our engagement session and was so approachable and funny. We shot at Shelburne Farms and Amy spent her time capturing each shot and did not rush us. Furthermore, she really captures your natural self and does not spend a lot of time posing you, which is nice. We just got our photos back and we absolutely love them. Amy is a wonder of a woman and an amazing photographer. We can't wait for our wedding in June to work with her again. Look no further and book with Amy!!! 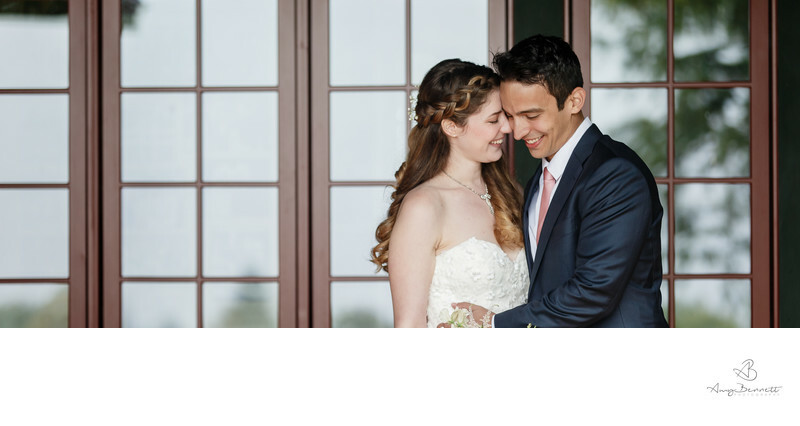 Hiring a highly skilled photographer was our priority for our recent wedding in Lake Placid. Although Amy is located in Vermont, she was more than happy to make the trip to NY. Her skills are top notch and her patient & charismatic personality was a bonus. She was organized without being pushy, warm towards our family & guests, and an all around awesome person. She captured such special moments of this memorable time in our lives. I could not imagine my wedding day being as perfect as it was without her guidance and presence throughout the entire process. I wholeheartedly without any reservations recommend Amy to be your wedding photographer! Amy is the absolute BEST wedding photographer! Amy made our dreams come true by capturing the most beautiful and spontaneous moments throughout our wedding celebration. She always had a smile on her face, and her passion and talent shone from the beginning to the end. All in all, Amy and David were a joy to work with and they captured moments that we could not have imagined. We cannot recommend her enough! Amy Bennett is amazing!!!! Amy effortlessly works so hard to get all the pictures you could possibly want, and she is a total sweetheart to work with. I did two big weddings for my two daughters in Dallas and Oklahoma City worked with two different photographers. And now, after having Amy do my wedding I would pick Amy Bennett over them every time. She did everything she said she would do and the quality is fabulous! You will love her and her work!!!! Before we saw Amy’s photos, we were unenthusiastic about our options for photographers in the San Jose/Cabo area. Once Amy Bennett was recommended to us (by our resort, The One and Only Palmilla), however, we knew our photos would be better than we had imagined! The quality and spirit of her photos prompted us to call and hire her on the spot. Planning the photography portion of our wedding with Amy was easily the most fun and comfortable of all the arrangements we made. Amy’s interest in our story (as a couple) and personalities demonstrated her desire to capture our wedding day in a way that would feel authentic to us. In addition to taking beautiful and effortless-looking photos, Amy brought an element of calmness and joy to our wedding day that was noticed by every one of our guests. She’s a lovely person and an outstanding photographer. Amy was a dream come true when it came to capturing our wedding! She got to know us and our wedding party on a very personal level and captured our day beautifully, down to the detail. We loved planning with her along the way and had a ton of fun when it finally came down to the action shots. I could not be more impressed with the service I received from Amy in my recent destination wedding in Barbados. Not only are her pictures beautiful, but she returned them to me within 3 weeks of our wedding- a timeline that I just did not think was possible. Her assistance throughout our wedding was more than just photography, but she helped to organize, problem-solve, style and direct several events and without her help they would likely have not been as stress-free or successful. We love her and will continue to do business with her in the future! Amy was amazing! I felt so comfortable with her, as if we had been friends for years, yet she was very professional. Our day was captured perfectly and I would definitely recommend her to anyone looking for the best of the best! Our photos were the most important thing for us and I am so grateful to Amy for doing such a terrific job. Amy surpassed all my expectations on our wedding day. She showed up with a plan and knew exactly what she needed to do in order to get the most beautiful photos. My groom and I didn't want to see each other before the ceremony, which I know makes it harder on the photographer because they have a set limit of time for everything, but she did her thing and our pictures are beyond stunning. I would HIGHLY recommend working with Amy, you will not be disappointed. Amy and her team were incredible to work with. Amy is unbelievably talented and gave me invaluable advice, not just for the photography but for the entire flow and feel of my wedding. She was so willing to help and made sure that I felt comfortable with every aspect of the day. I received my photos back right away and could not be happier with the results. She truly captured the essence of the day and I have no idea how she and her team were able to be everywhere at once. Amy is amazing. She photographed our wedding this last August in Stowe and captured everything so perfectly. She was really nice, very professional, and a lot of fun! We really had a blast with her and her team. I was so impressed; she was creative and thorough, capturing so many pictures of the moments of the day, us, and the people who surrounded us. Her eye for a moment was exceptional. She even made our crazy idea of going to the top of Mansfield before the ceremony a reality. I can honest and truly say, our wedding wouldn't have been the same if Amy wasn't our photographer. Amy is the best. Thank you so much for making and capturing such a special moment in our life. I found Amy by doing a google search which led to reading reviews and looking through her portfolio... perhaps that’s what you’re doing now, too. I can now say that Amy’s photos are all as good as what you see on her pages... even better actually. From discussions on budget to engagement photos and wedding, Amy delivered in an amazing way! Not only were our photos great (and shared with us less than two weeks after our wedding!! ), but our guests made a point of telling us what a great photographer we had... commenting on her warmth and putting people at ease. Prior to our wedding, I described one of our primary reasons for selecting Amy as her being “guest friendly”, and she didn’t disappoint! Amy, while seemingly disappearing into the scenery, ensured we captured the photos we didn’t even know we wanted! Geoff and I highly recommend Amy Bennett Photography. My fiancé and I wanted to plan a winter engagement shoot in Vermont. While browsing photographers in the area, I came across Amy's website and fell in love with her photography style. We instantly connected the first time we spoke over the phone. Her positive and upbeat personality made working with her extremely easy. She made my fiancé and I feel so comfortable during our engagement shoot. Despite the frigid temperatures atop a ski mountain, Amy remained her positive self and kept us laughing and enjoying every moment. She has a talented eye and is able to envision beautiful shots on the spot. Not to mention, she turned around our engagement shoot photos less than 2 weeks later! From her experience on a beach to a ski mountain, Amy is fantastic! Do yourself a favor and book her!! Amy is a consummate professional. She is also a thoughtful and skilled artisan of her craft. She knows how to find the essence of each couple and event and capture it in her photography. Unlike some who try to name each client into their personal style Amy finds the unique qualities of each couple she works with. Amy is an amazing photographer! Amy did my daughter's senior photos and we could not be any happier with the results. This was a moment my daughter had been looking forward to for a long time, something that was extremely important to her. The session with Amy was fun and relaxing from the very start! We now have unique, amazing, beautiful photos capturing a very important milestone. I would highly recommend Amy! Amy and her husband made our family photo session a breeze for our family of five. They are professional, fun, and creative. They wrangled our entire family and delivered a product that we will treasure for years to come. We couldn't have asked for a better experience and would recommend Amy to anyone needing photos in Vermont. Very professional. Listened to what we were looking for in regards to photographs and tailored them to fit our personality. Everyone on her team was amazing. The photos turned out great, and we couldn't be happier. Would definitely recommend to anyone! We only wish she was closer to us. She used to do out family pictures every year, it has not been the same since she moved. Our kids love her and it is always a good time, which creates even better pics with great memories behind the pic. Great job Amy!!! Vermont is very lucky to have you back. Amy photographed our wedding in June of 2017. She was incredible from the start. The lines of communication were always open with her, and this lead to an incredible rapport on our wedding day. Of course, the most important thing are the photographs, and they were incredible! We simply could not be happier with our choice to hire Amy, and you will be too! The superlatives are unending when it comes to describing Amy Bennett both professionally and personally. Wedding photography is a tough gig, yet Amy’s calm and reassuring manner puts everyone at ease so they look and feel their best. Her keen eye captures those unexpected yet most treasured moments. When I look at images that she has captured I feel like I know that person and what they were feeling at that moment. Very real, very honest and very joyful work. And it all comes with that warm smile and big hug from this amazing woman. I am so fortunate to work with Amy creating and remembering unforgettable luxury Vermont weddings. Amy did an incredible job photographing our wedding - she was really fun, provided friendly and super-helpful direction to our wedding party and guests to get the shots she wanted, and the finished product is absolutely stunning. We highly recommend her to anyone looking for a wedding or family photographer in northern New England! Amy is a talented and thoughtful photographer. She did an excellent job communicating with us before the wedding and photographing our elopement at Shelburne Farms. It was a true pleasure to work with her and David. My husband and I are both very pleased with the result. My mother also loves the photos! Thank you once again to my amazing & talented photographer, Amy Bennett for capturing our wedding day. Our wedding day will always hold a special place in my heart. Thanks to Amy, We will always cherish the beautiful moments she captured. We would highly recommend Amy to any couple planning their wedding or special event! Exceptional, professional. Personal, willing to go the extra mile to make sure every second is captured. We recently asked Amy to photograph our 17 month old daughter and she was/is simply amazing! When it came time to 'work' with Elle (she is on the move and has a mind of her own) Amy captured the true essence of her! My initial response after viewing the photos was 'Are you kidding me?' The photos capture so many subtle details and gestures that we will forever look back and giggle, cherish, and miss. We cannot wait for our next photo shoot with Amy! Our family photo shoot was seamless, relaxing and fun. Even our 3 boys were into it. In the end, we ended up with fantastic photos that we will cherish.